Here’s how I see the year in entertainment -- as a cycle: the heat begins in May and ends in February (next year March) with the Oscars. May, of course, means CANNES! And this Cannes is opening in 3D. This Cannes is a Baz Luhrmann Cannes. This Cannes is a very, very pretty Leo Cannes. 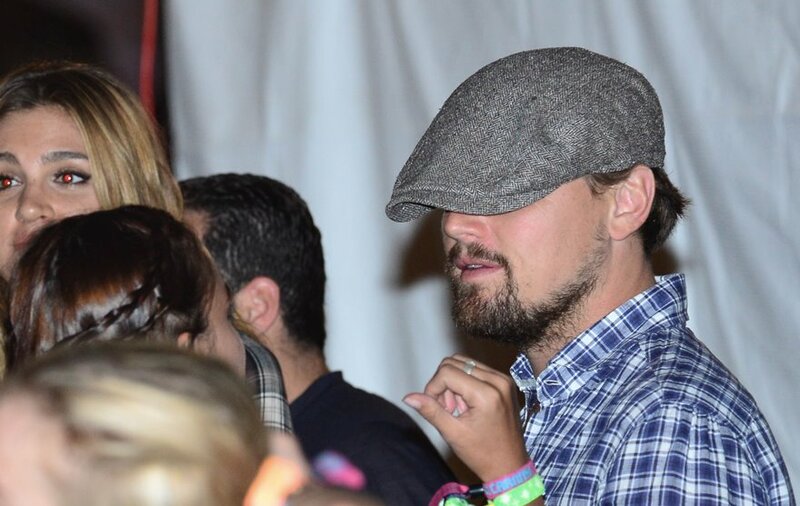 Not quite as pretty as he was in Romeo & Juliet (no one ever is as pretty as when they’re 20) but beautifully lit, beautifully shot, and on The Great Gatsby premiere night with the Croisette in the background, wearing a tux, heading up those red steps…? The money shot will be the one of him looking over his shoulder into the distance. If it happens, we’ll replay that moment over and over and over again. The Cannes 2013 lineup was just announced today. In addition to Leo, Ryan Gosling, Emma Watson, and, god help us all, Justin Timberlake will have films in the festival. The plus side to that is #1 on my Five List, Oscar Isaac. 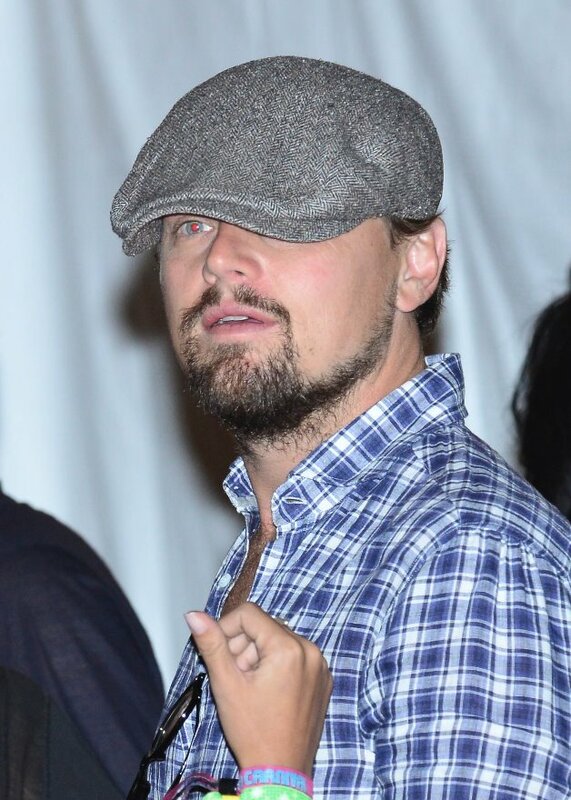 He headlines the Coen Brothers’ Inside Llewyn Davis. AND Marion Cotillard and Guilliame Canet. Together. For Blood Ties, which also stars Mila Kunis. 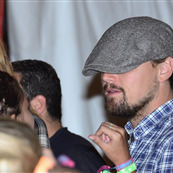 Which could very well mean that she and Ashton Kutcher will be romancing in the French Riviera. It’s looking like a very strong year. This year we’re partnering with U by Kotex ® to bring you extensive CANNES coverage, as well as the opportunity for you to win an amazing festival-timed spa day in Toronto for you and a friend. BFF Trip! More on that next week so stay tuned. With Cannes still a few weeks away yet we'll be discussing this year’s participating movies, doing Gossip Nostalgia, Cannes style, and revisiting some of the most memorable and iconic CANNES moments. We’ll also explore possible first appearances and other key storylines you can expect to play out when the festival opens. Watch for coverage to start soon as well as more information about this contest. In the meantime, a quick word about our sponsor. Do you remember Ellen’s recent dressing down of a certain pen maker because they tried to market a pen for women? Because our hands are too small? And we only write in pink? How about the major PC brand that had to put an “a” at the end of their name and rebrand a copy of their website because women apparently buy computers with their vaginas? And WHYYYYYY can’t I buy a pair of golf shoes -- or a putter! -- without ridiculous pink trim? Refreshingly, U by Kotex ® is not this brand. U by Kotex ® understands what it means to be a girl. The packaging is black! I love this. I love that having our periods isn’t being infantalised or prissied. U by Kotex ® is encouraging girls to share their experiences, get the facts, get involved, and to talk about what it’s like to deal with vaginal wellness without making it feel awkward or inappropriate. Click here to check the site out for yourself and to get more information about the product, or drop into a Shoppers Drug Mart near you and pick up a box. Watch for the commencement of our coverage in the coming days and stay tuned for details about the contest. 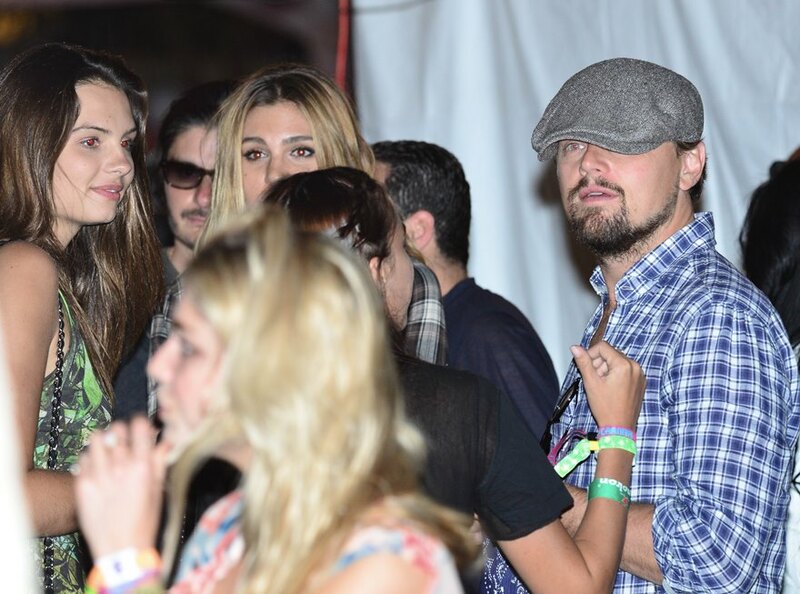 Attached: Leo at Coachella last weekend surrounded by model types, naturally. 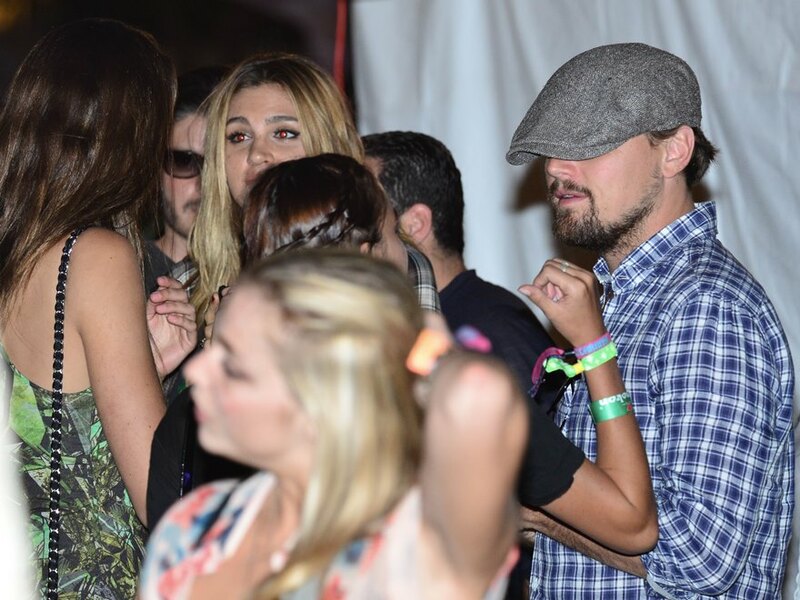 Not unlike what we’ll likely see of him in Cannes except on a yacht.